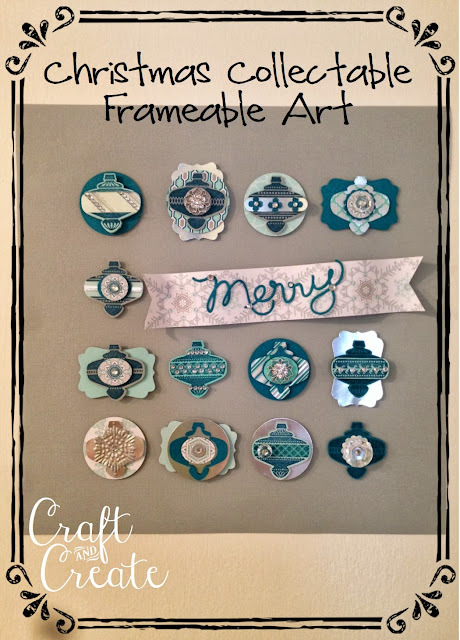 It's time for a sketch challenge at Create with Connie and Mary's Winter Collection. And this is a SUPER GOOD one! Since I had the sketch I literally whipped this card up in just a few minutes. 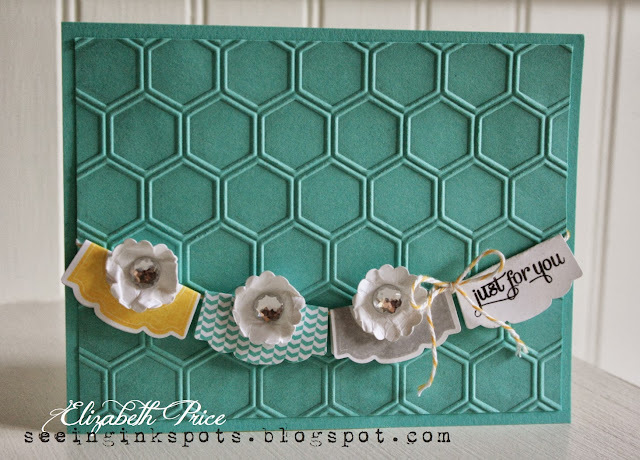 I used DSP from two sets of papers, Season of Style and Winter Frost and backed them with Coastal Cabana. I love the look of the red, aqua, and grey together. It so unconventional for a Christmas card, but it's me! 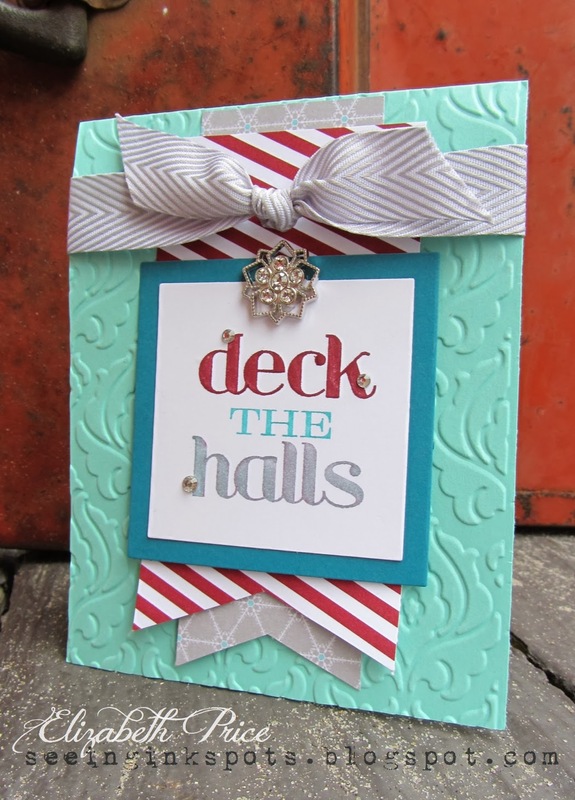 The big "deck the halls" greeting is from the Christmas Messages stamp set. Want and or need an interactive gratitude journal? 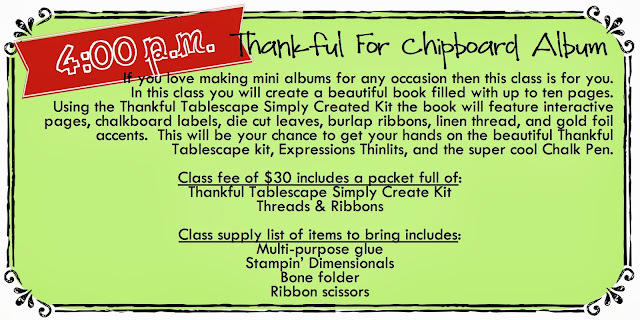 If you love making mini albums for any occasion then this class is for you. In this class you will create a beautiful book filled with up to ten pages. 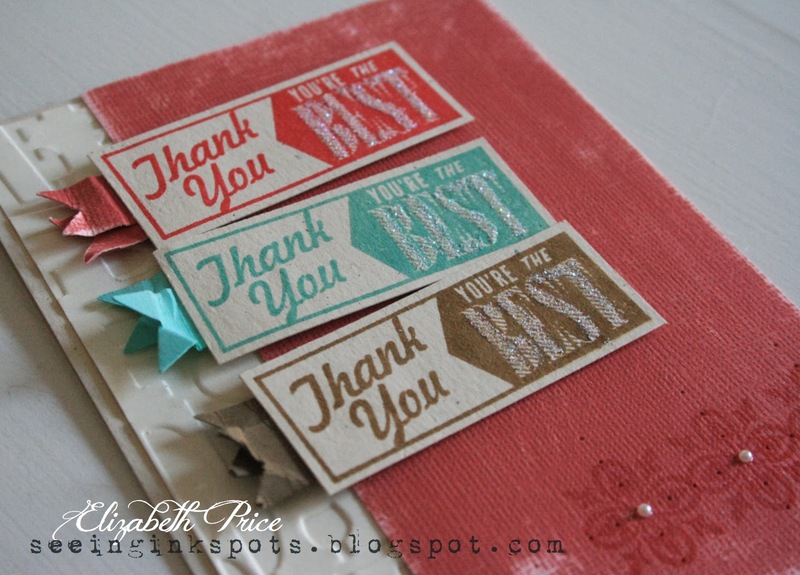 Using the Thankful Tablescape Simply Created Kit the book will feature interactive pages, chalkboard labels, die cut leaves, burlap ribbons, linen thread, and gold foil accents. This will be your chance to get your hands on the beautiful Thankful Tablescape kit, Expressions Thinlits, and the super cool Chalk Pen. I really do enjoy working with sketches. They are great motivators and give you a place to start. This sketch, from Hand Stamped Sentiments, is a perfect one for washi tape. I mean it's the perfect set up for any patterns of tape and a coordinating focal point. 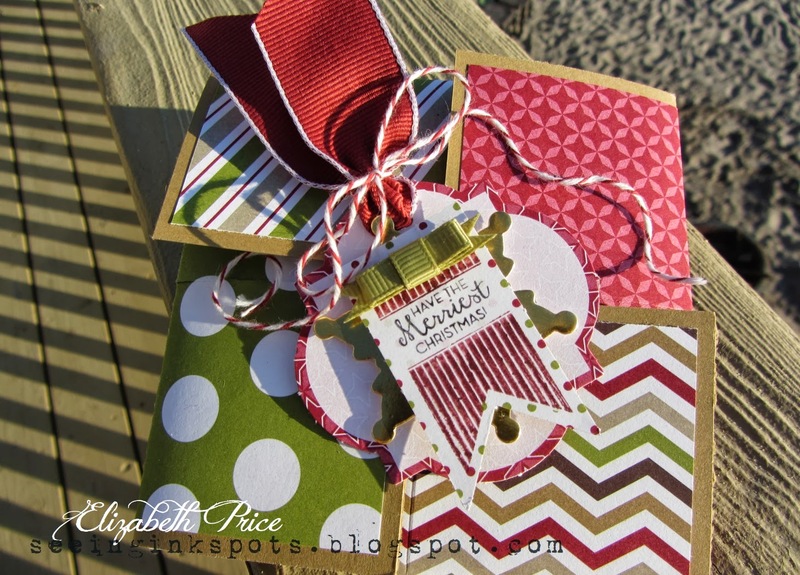 For my card I pulled out my Season of Style Designer Washi Tape and the Christmas Tagables stamp set. 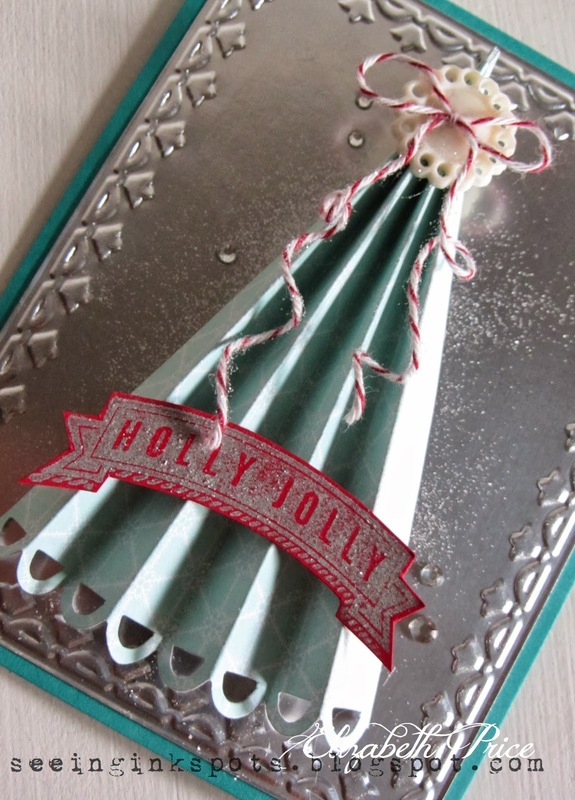 To bring some umph to my card I whipped up a dimensional snowflake using the Festive Flurry Framelits. 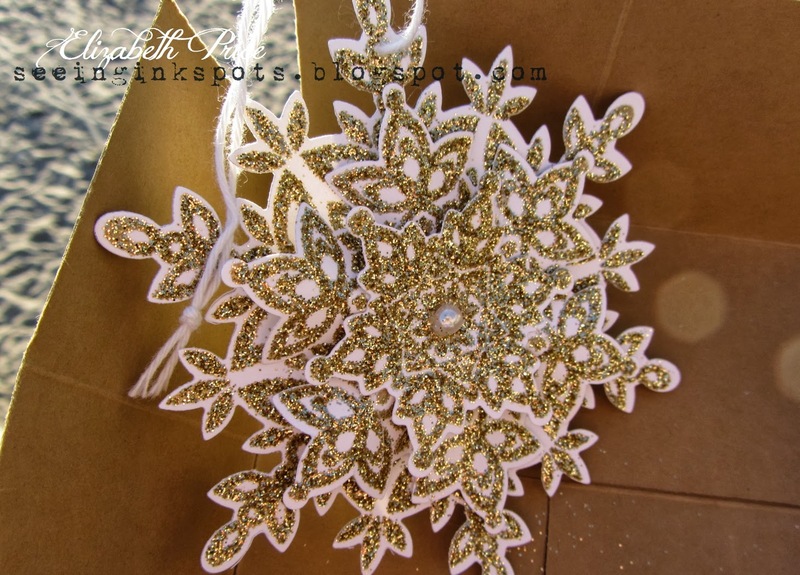 To add even more sparkle to the glimmering snowflake I coated a piece of Sticky Strip tape with Silver Stampin' Glitter. Enjoy! I know lots of people are stampin' holiday cards and gifts and things, but I just can't quite do that yet. I am hanging at the beach for this month and I am not interested in Christmas colors or stamps, I seem to be wanting to hold onto summer. I mean my view is the beach and the sky is clear blue with temps around 80 degrees. So, do you understand why I am still in a summer mood? For this installment of Monday Montage I kept with summer colors like Coastal Cabana, Crushed Curry, and Smokey Slate. My card is simple yet stylish with a bit of honeycomb texture and a mini garland. Yes, garlands of all shapes and sizes are my FAVORITE! So, why not put them on cards? It's a great place for them. To make my mini garland I used the Artisan Label stamp set and matching punch. I strung them on a piece of Bakers Twine from the Tag kit in the main catalog. I also added crinkly flowers made with the 7/8" Scallop Circle punch and Jumbo Rhinestones for a touch of panache. 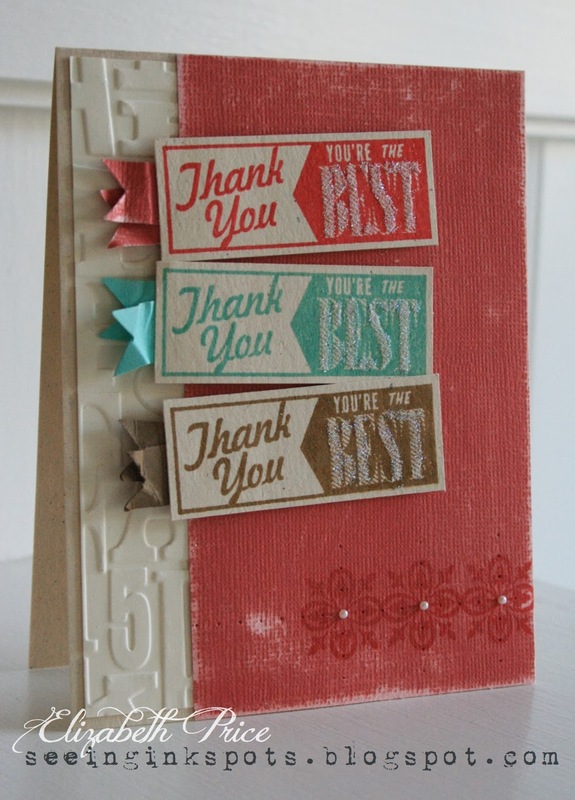 Thank you all for visiting each of our blogs during the Create with Connie and Mary Winter Collection 2013 Preview Week! 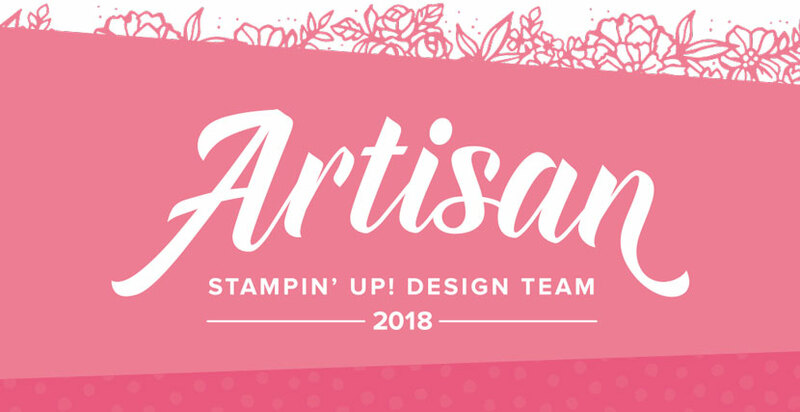 We hope that you enjoyed the free projects we offered to make you familiar with our subscription and the cards hand crafted by some of us design team members! 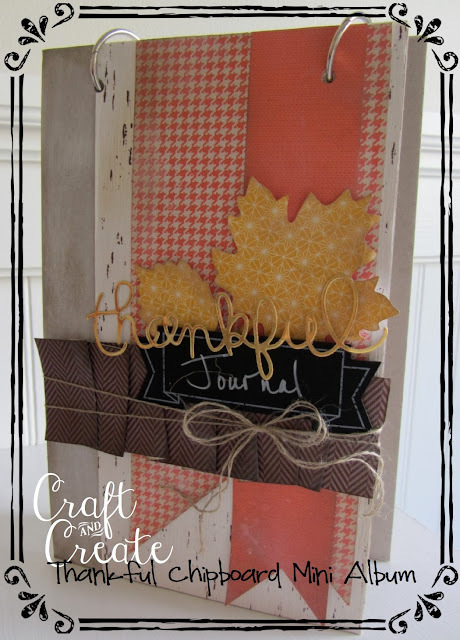 So if you are one of the lucky winners you need to email us at createwithconnieandmary@gmail.com by Sunday, October 27th 2013 to claim your free subscription! A HUGE THANKS to all of you who have subscribed and remember...it's not too late to late to join! Click here to subscribe. Today is the last day of Preview Week for the Winter Collection of Create with Connie and Mary. 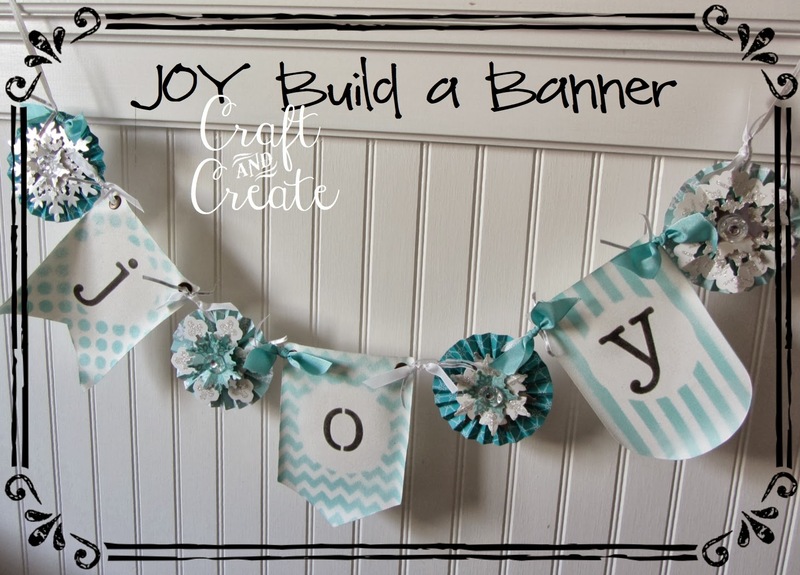 We have a FREE tutorial for everyone and everyone has one last chance to win some blog candy. Pop on over to Create with Connie and Mary to see what fun we are having. Speaking of having fun, I am having fun relaxing, shopping, and visiting with family at the beach house at Capistrano Beach. The other day I had some quiet time so I pulled out some stamp stuff. I decided to make one of my favorite types of projects and it's what I call I "box top"card/flat pouch. To make one you simply cut four squares of paper or card stock and fold each of them in half both directions. Then you adhere them in a plus shaped formation and then fold the sides in like the top of a card board box. I used Baked Brown Sugar card stock and Season of Style DSP for my "box top" pouch and then I added a tag that I made using a few new things. The stamp image is from a new photopolymer set called Christmas Tagables and the tag pieces are from the Pop and Place tag kit. 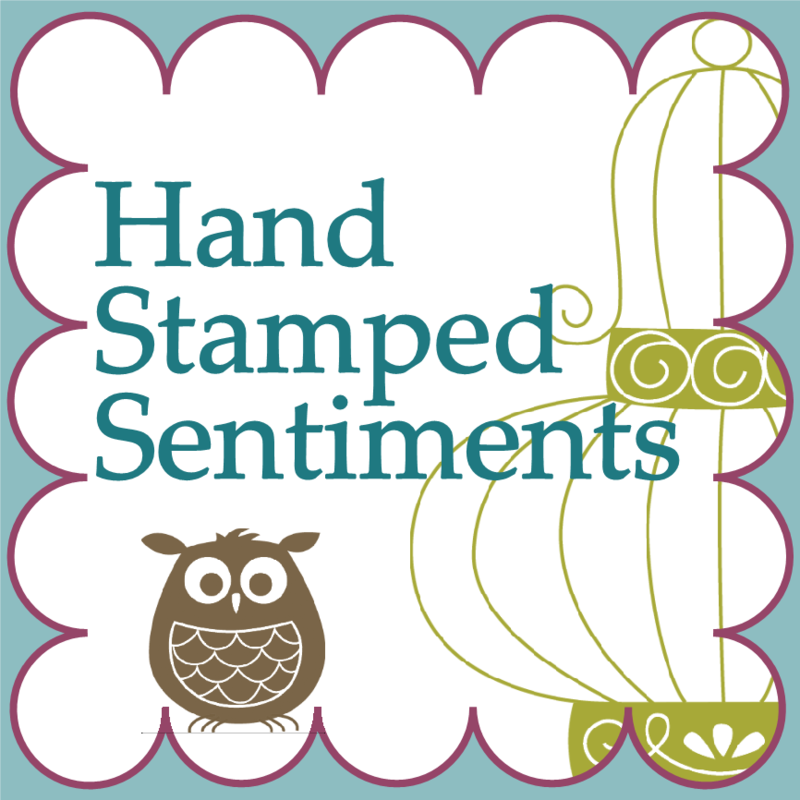 To ink the image I used Early Espresso and Cherry Cobbler Stampin' Write Markers. In between the two tags is a small Gold Foil Paper snowflake cut from the Festive Flurry framelits, I think it looks like a sheriffs badge. 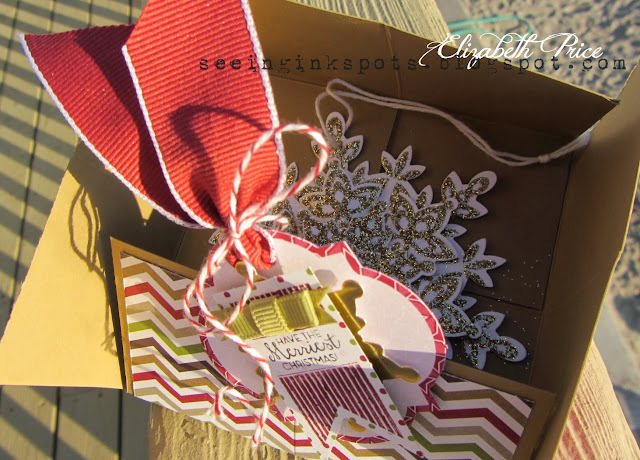 Tucked inside my "box top" pouch is an ornament I made using the Festive Flurry bundle. 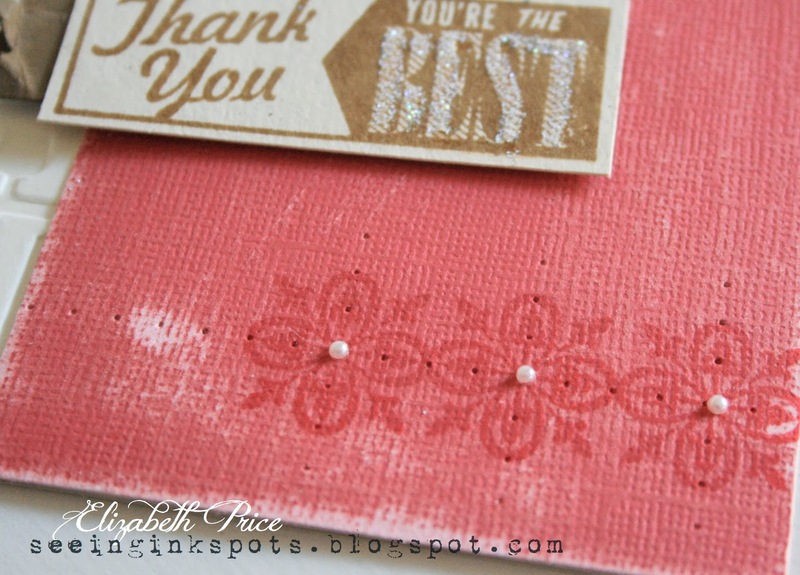 First I stamped the three snowflakes with Versamark ink and then poured Heat and Stick Powder overtop. I heat set the powder and then added the Gold Glitter. With a little hot glue I layered the three snowflakes for lots of dimension. In the sun this sparkles like crazy. I thought I would share a somewhat funky and chunky card today. I started with a Coastal Cabana card base and then added a panel of Silver Foil Paper which was texturized with the Framed Tulips TIEF. 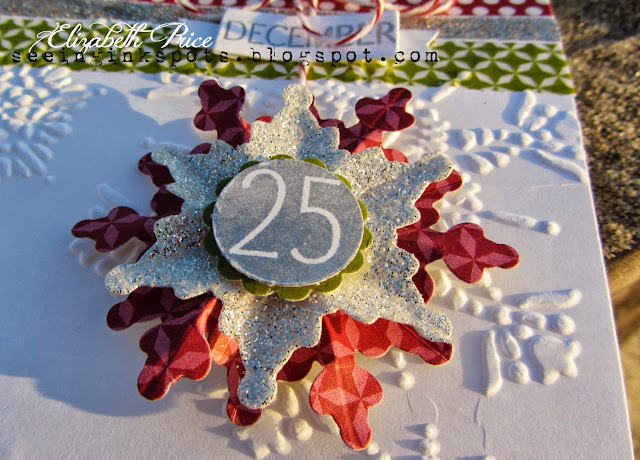 For my focal image/embellishment I added a Winter Frost DSP tree made with the Designer Rosette Bigz XL Die. An added bit of bling, bakers twine, and a button balances the stamped banner. The "holly jolly" image comes from A Banner Christmas stamp set and was stamped with Silver Encore ink. 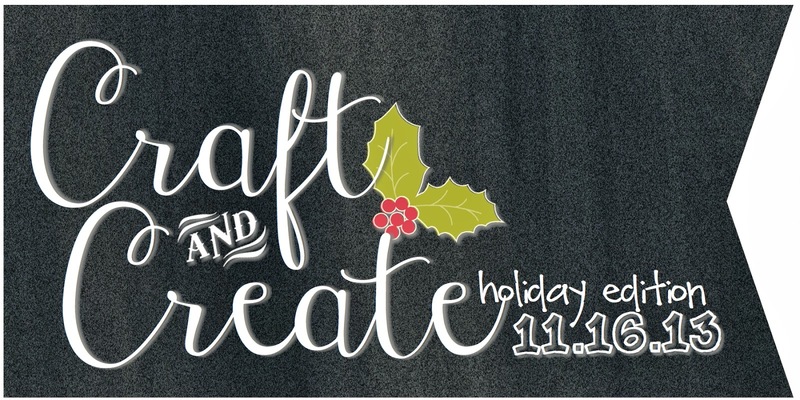 4 FABULOUS weeks filled with wonderful ideas just for the upcoming December Holidays! One of these weeks...Last Minute Gift ideas! EACH project has a full downloadable PICTURE tutorial that continues all the information you need to recreate the project! Less than $1 per project! ALERT ALERT BLOG candy ALERT! Read below for all the details. I am a girl with a big sweet tooth and I enjoy CANDY -- I love, Love, LOVE candy. 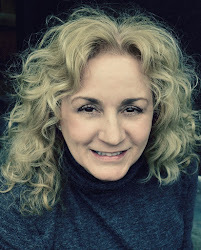 So, with my passion for candy I am giving BLOG CANDY away today. It's super easy, just leave a comment on my blog today, Tuesday, October 15th and be entered to win a FREE subscription to the Winter Collection of Create with Connie and Mary. Winners will be announced on Sunday, 10/20. 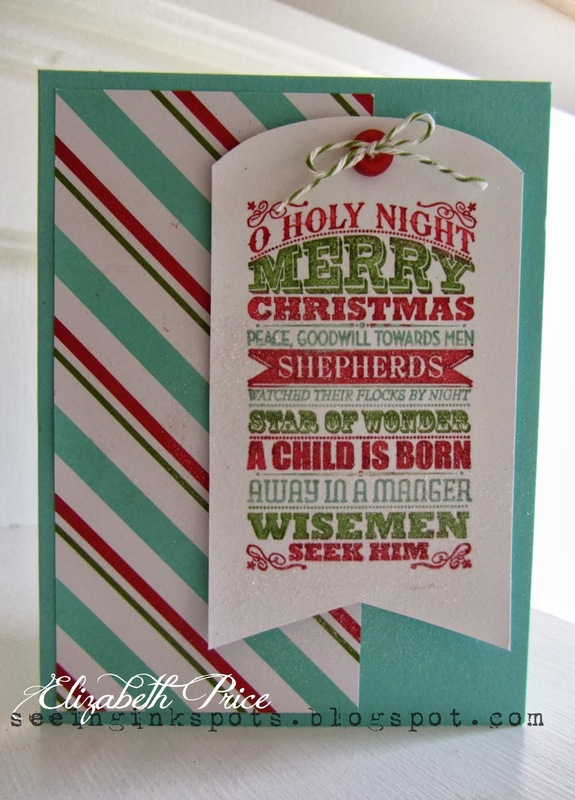 Oh Holy Night Quick Card Thanks to Stampin' Up! I have fallen head over heels in love with the Merry Little Christmas Simply Created Kit -- seriously I LOVE LOVE LOVE it!!! Maybe it's the colors or the envelopes with liners or the Wild Wasabi Bakers Twine, or the ease of it all being ready to go, it is an all around fabulous kit. To the precut tag I added the Oh Holy Night image which I inked up with Real Red, Coastal Cabana, and Wild Wasabi Stampin' Write Markers. Big news: there is an adorable FREE tutorial designed by Mary Brown over at Create with Connie and Mary. October 13-194 full weeks just for the Christmas/Winter HOLIDAYS beginning October 20! 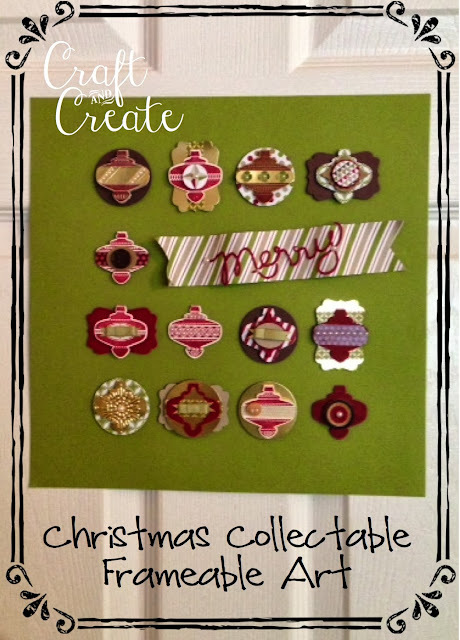 • One week of Card "Create"tions with 24 unique card ideas! • One week of last minute gift ideas! • Demos & Customers welcome! Save $5 during our Early Bird Special! 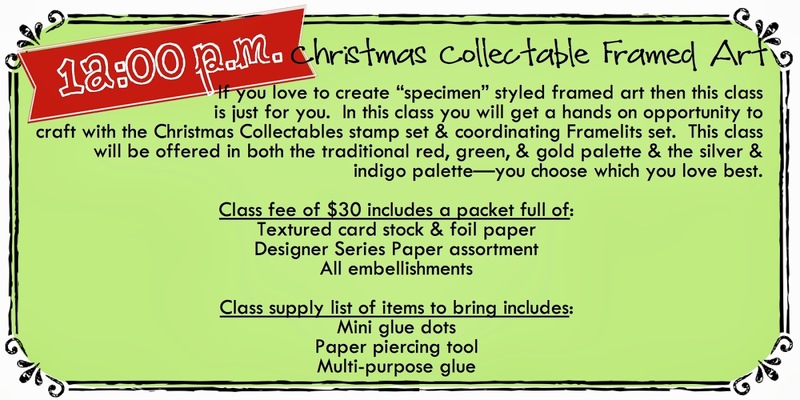 If you love to create “specimen” styled framed art then this class is just for you. 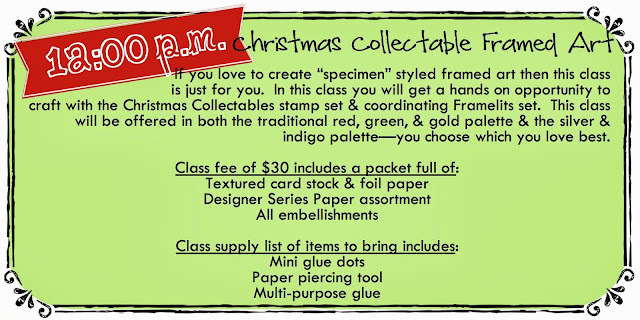 In this class you will get a hands on opportunity to craft with the Christmas Collectables stamp set & coordinating Framelits set. This class will be offered in both the traditional red, green, & gold palette & the silver & indigo palette—you choose which you love best. A Winter Collection of Create with Connie and Mary is on it's way. Free preview projects will be posted next week so stay tuned for more information and chances to win some sweet blog candy. 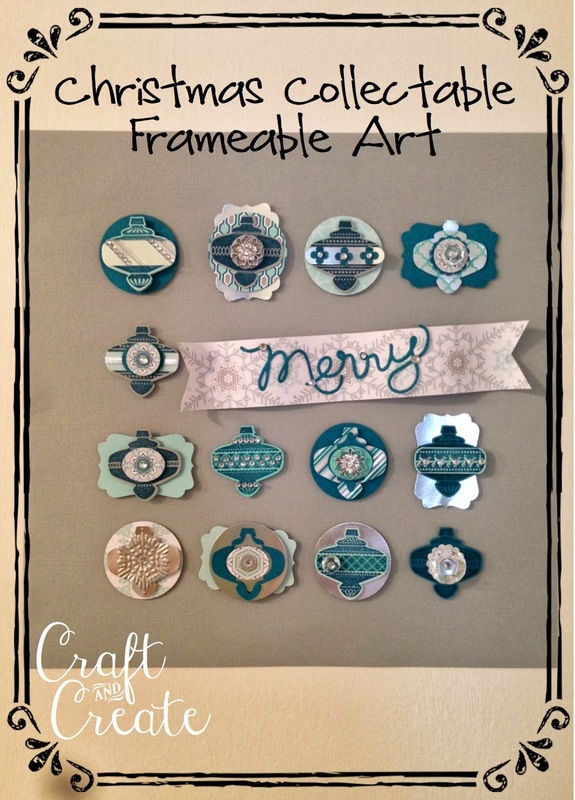 For now how about a whimsical Christmas card featuring the Tag It stamp set and the Chalk Talk Framelits? I love the mix of colors which combine for a non-traditional look. I started with Coastal Cabana and then layered on a panel of Pistachio Pudding. To brighten up the look I included a splash of Bermuda Bay and Real Red. If you look close you will notice a dab of Dazzling Diamonds glitter in Santa's suit and hat. 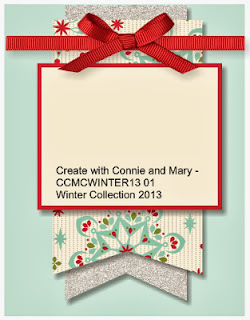 So what is Create with Connie and Mary Winter Collection 2013 all about? The Early Bird Special is $24.95 and what will you get for that? 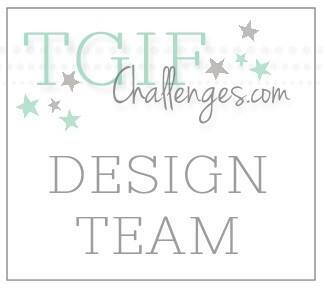 EACH project has a full downloadable PICTURE tutorial that includes all the information you need to recreate the project! See what we are all about during PREVIEW WEEK - October 13-19! Winter Collection runs October 20 - November 16! 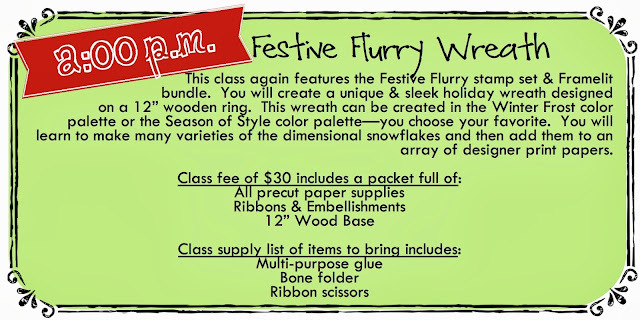 This class features the Festive Flurry stamp set & Framelit bundle. 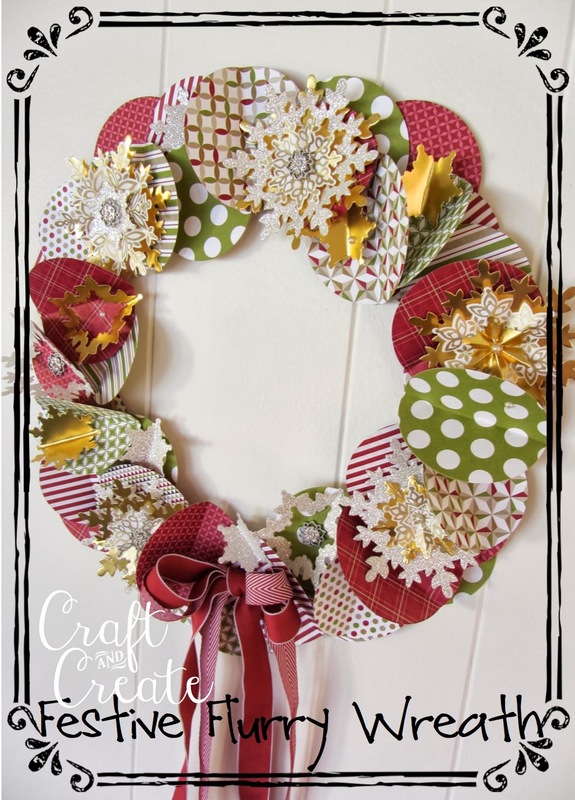 You will create a unique & sleek holiday wreath designed on a 12” wooden ring. 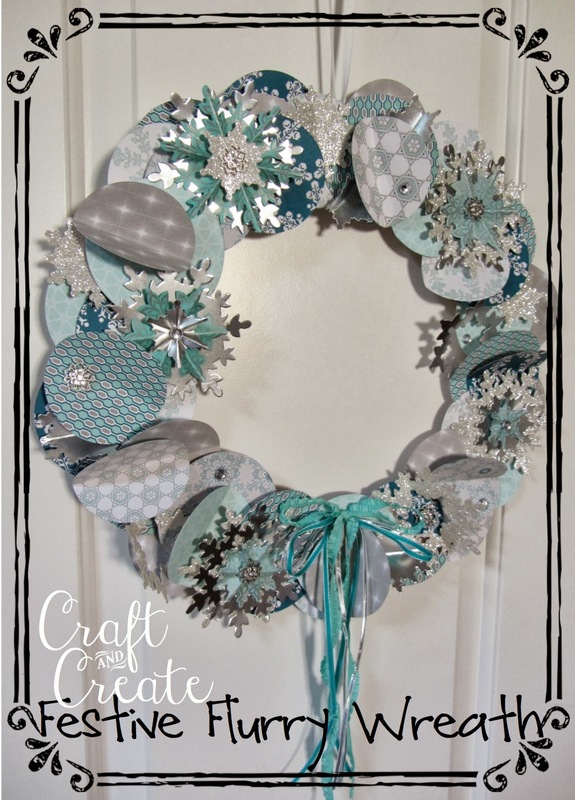 This wreath can be created in the Winter Frost color palette or the Season of Style color palette (photoed above)—you choose your favorite. You will learn to make many varieties of the dimensional snowflakes and then add them to an array of designer print papers. 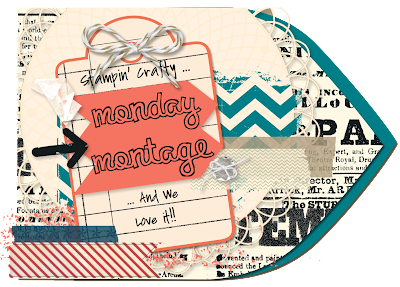 That is correct I am goin' MDS for today's color challenge over at Hand Stamped Sentiments. 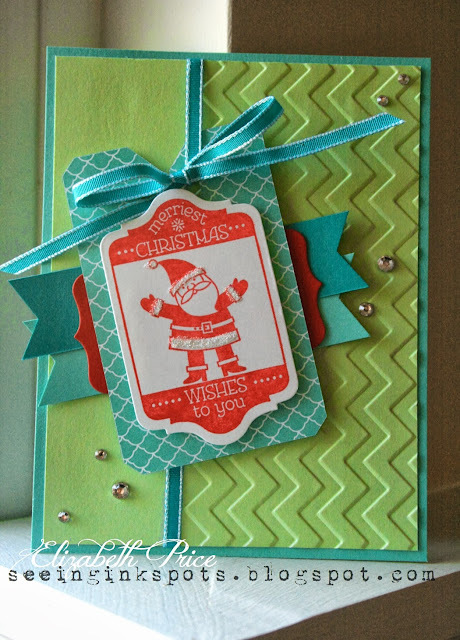 I don't often make cards in MDS, but I do use the program just about every day. I use it for my blog, for work, for church, and for lots and lots of things. 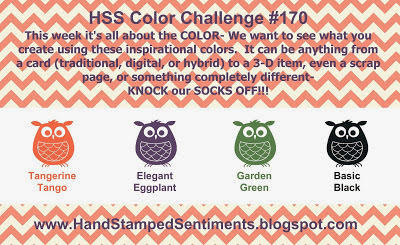 Since I am not at home this month and did not bring any of the challenge colors with me to stamp with I decided to whip out my computer and go digital because there is where I have an endless supply of every Stampin' Up! color. For the most part this card is somewhat simple. I started by filling my background paper with the chalkboard 1 piece of DSP from Hello World. Then I filled a stretched square punch with Whisper White color fill and then added lots of Mis Stitched embellishments which I recolored Garden Green. 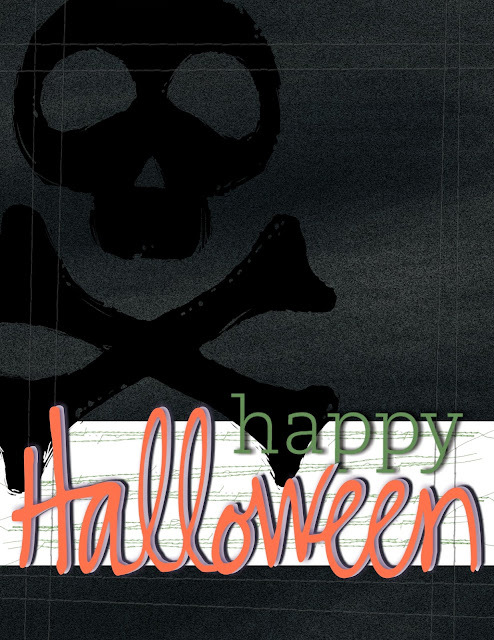 A quick skull and crossbones from the Toxic Frameable brush stamps collection to anchor the card and then a bit more stitching for a bit more texture. The best and most interesting part of the card is the Halloween greeting which is a punch from the Holiday Celebrations pack. I filled the punch with Tangerine Tango and then added an Elegant Eggplant shadow. Then I copied the element for a second punch the exact same size. For the second punch I switched the color fill to Whisper White and the shadow to Basic Black. Then with the nudge tool I wiggled the white and black punched element behind the tangerine and eggplant until it was just where I wanted it. The finished product/effect is a triple shadow! Look close and you will see the white, eggplant, and then the black--go ahead and try it, you'll like the effect. 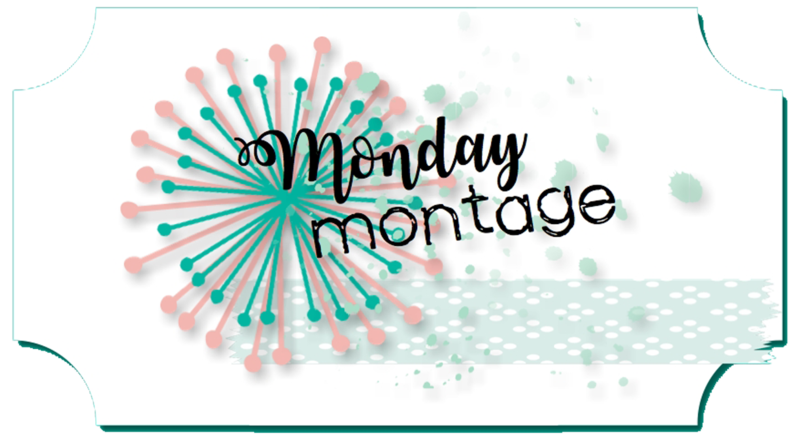 Hello and welcome to another fun Monday Montage Blog Hop! 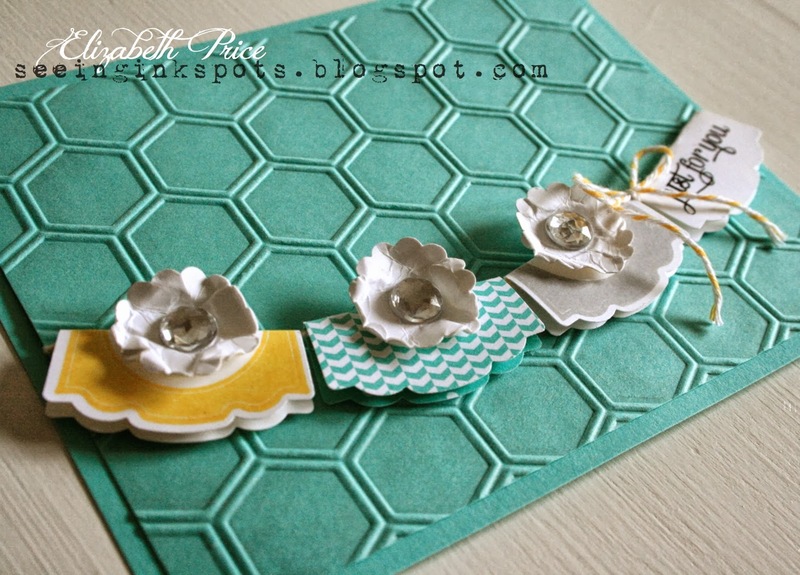 Have you ever made a card and just really liked how it turned out? Every now and again I love the way some cards come together and I am pleased with the finished product--this was one of those cards. 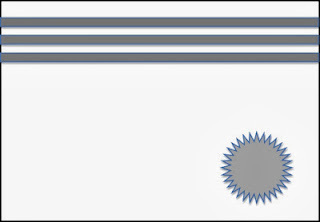 One reason why it may have really worked for me was the use of Cordinations card stock. That stuff is yummy and with a quick swipe of a sanding block it takes on a great look. Another touch I love on this card is the blending of Ivory Naturals card stock and Very Vanilla card stock. It's quite subtle but makes for a rich appearance. 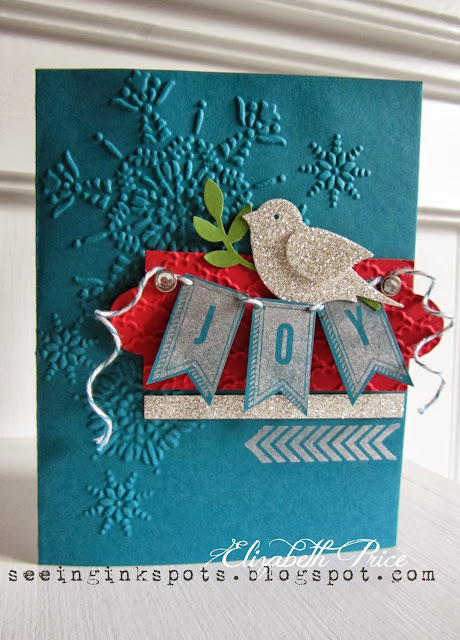 There is lots of texture on this card from an embossing folder to crinkled banners to sandy touches of glitter. I think the most subtle detail is the paper piercing and the tiny pearl accents. I have to say it again "it's just one of those that really appealed to me." I hope you have been inspired and enjoy the hop. You choose which classes you want to attend or bring your own projects & create/crop the day away. Four classes will be offered throughout the day. Attend all four classes & you will receive FREE STAMPS! FREE make-n-take mini break out classes will also be offered throughout the day. Start by selecting your preferred registration make-n-take gift then continue shopping. Remember if you attend all four classes you will receive FREE STAMPS! 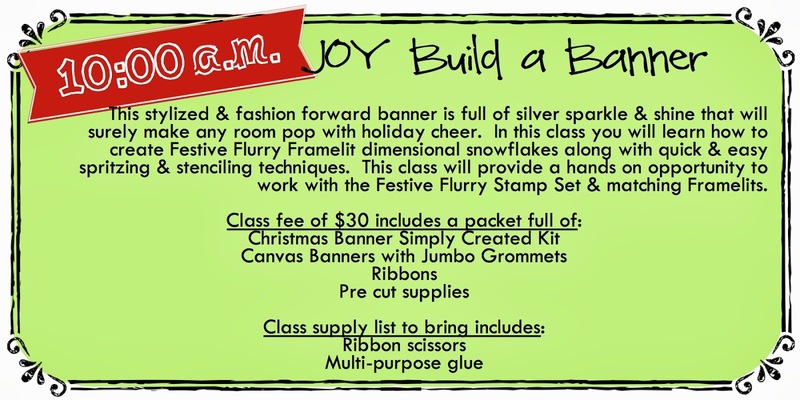 Include your selection in your shopping cart if you plan to sign up for all four classes. 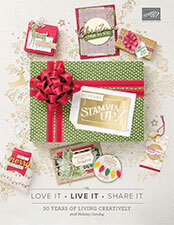 Choose either the Warmth & Wonder or Perfectly You stamp set found on page 39 of the Holiday Catalog. 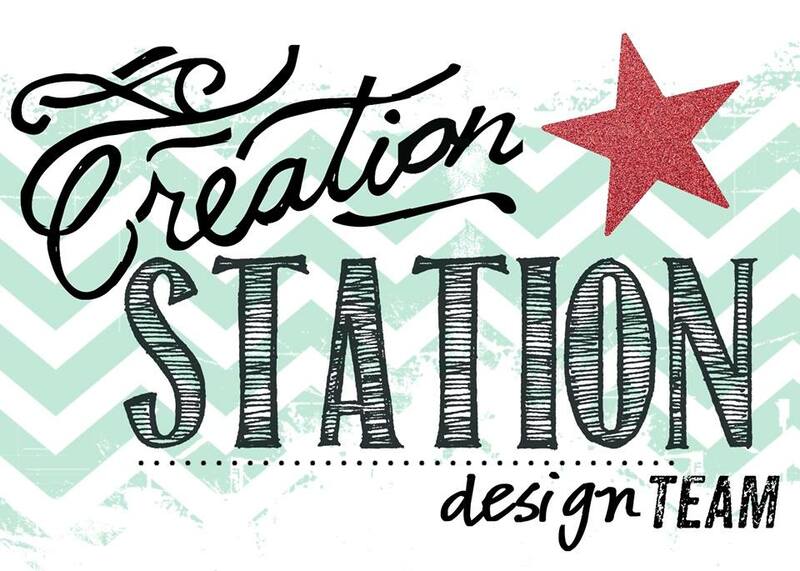 Please note that while attending Craft & Create you may not sell or promote your Stampin’ Up! business or any other competitive products including instructional videos and tutorials or any direct selling business products of any kind. Those in violation of this request will be asked to leave.